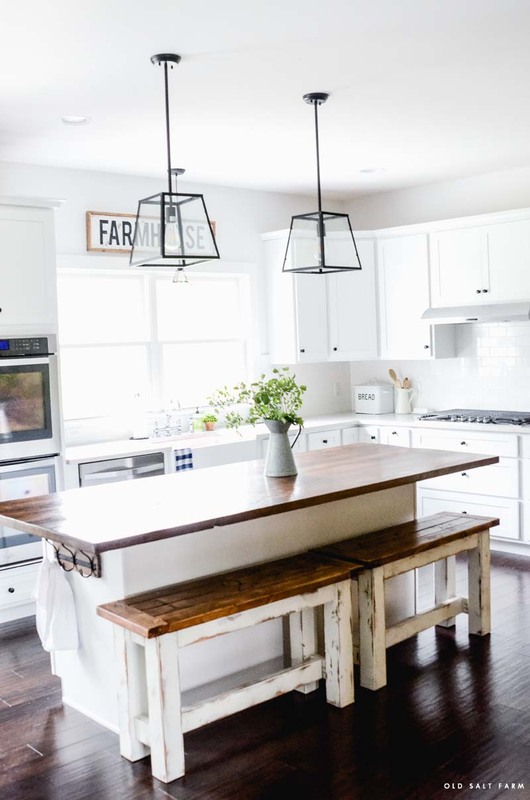 Add warmth, contrast, and farmhouse style to your kitchen with a DIY Barn Wood Kitchen Island. 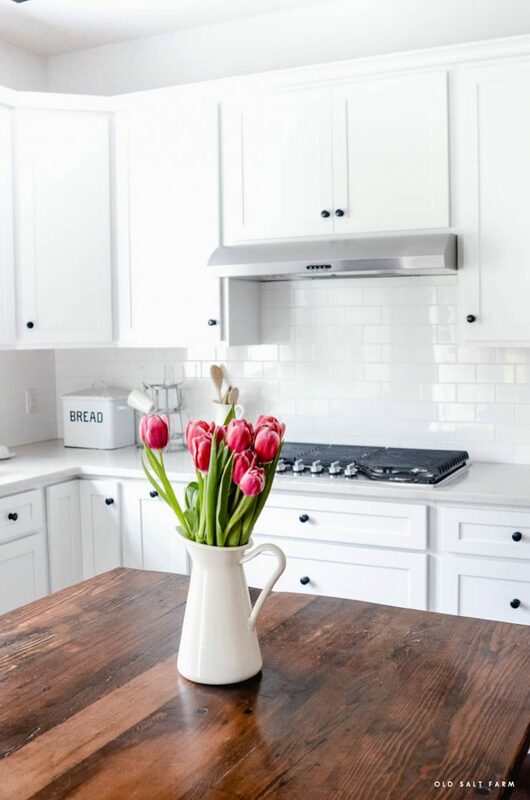 Long before we even started building Old Salt Farm, I knew exactly what I wanted my kitchen to look like. 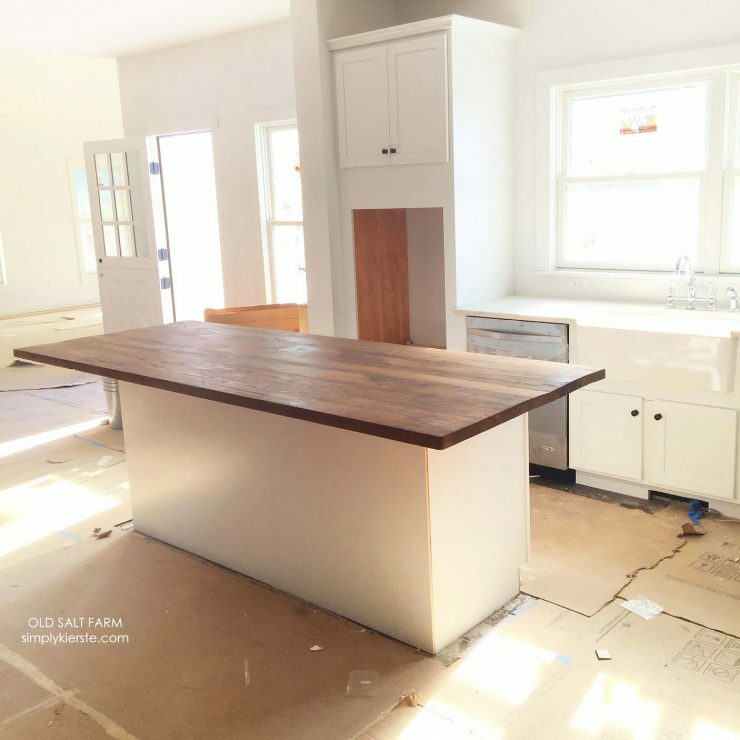 A big part of that vision was a wood kitchen island. 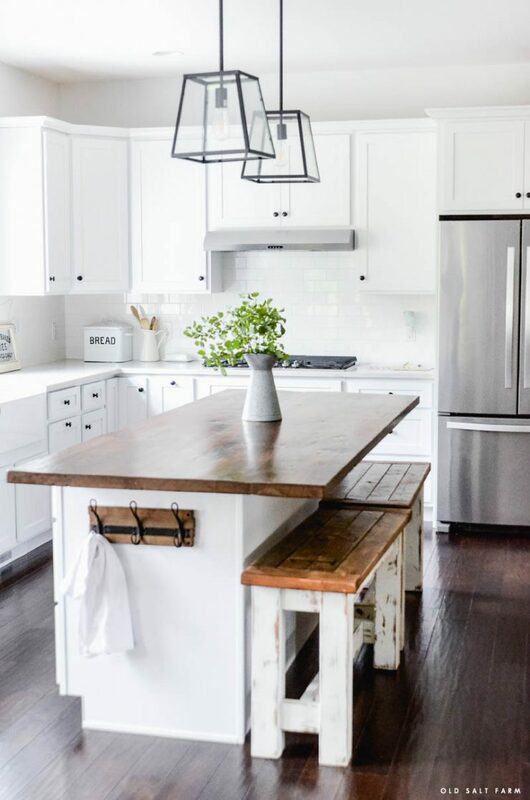 Initially I thought about butcher block, but once I started looking at barn wood, I never looked back. It’s now one of the most treasured pieces in my home, and we love it! 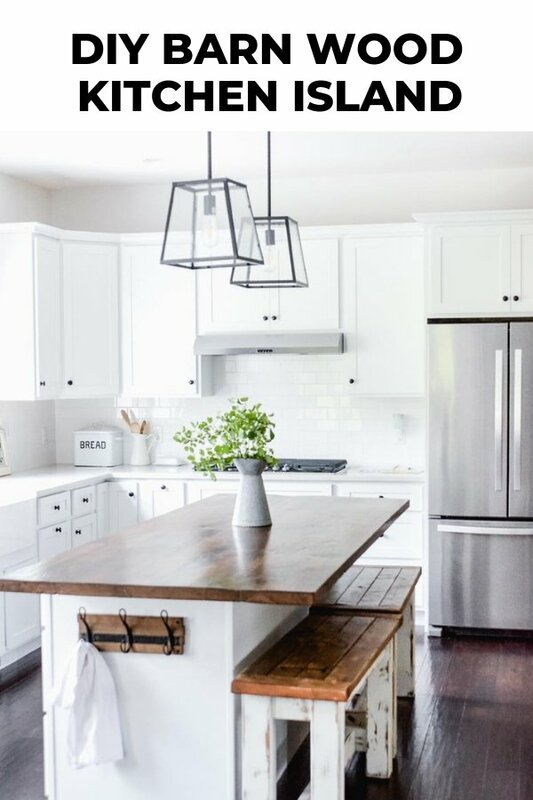 This barn wood island really is so special to us, and I told my husband that if we ever move, we have to take it with us! Every single member of our family had a hand in making it. We were living in temporary housing at the time, and a friend of ours let us use an empty shop they weren’t using. The kids took turns going with my husband in the evenings and on Saturdays to work on it, and sometimes our whole family went. Now it’s in the heart of our home, where we spend the most time together–family and friends surround it on a regular basis. 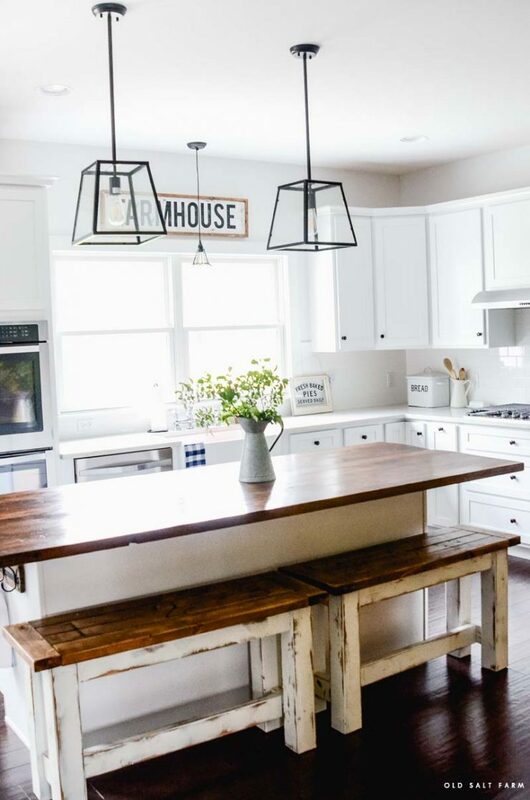 Why a Barn Wood Kitchen Island? I chose barn wood for several reasons. I’ve always been in love with anything historical, and knowing that this wood was used by someone else and another family was a big draw. 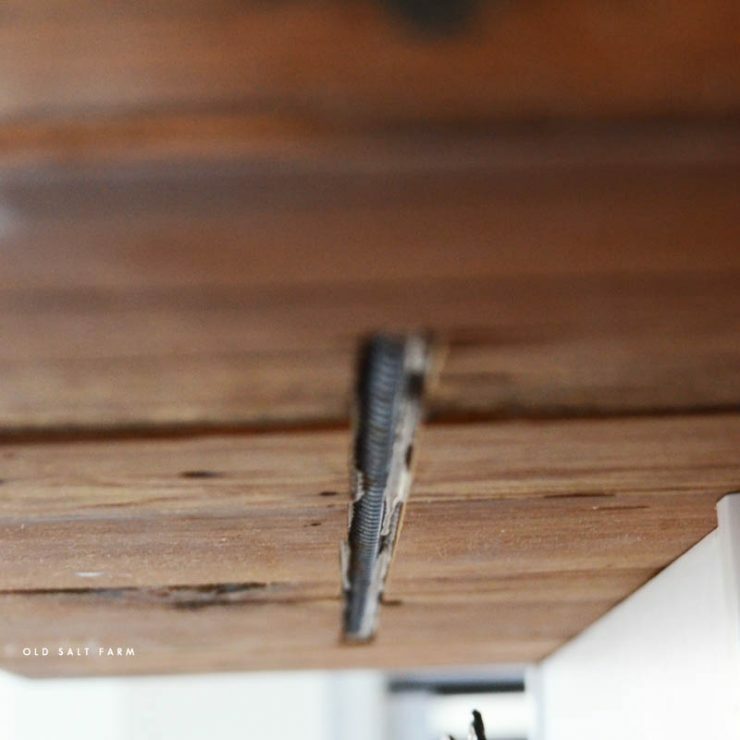 I adore the look of the planks and distressed wood, as opposed to brand new wood. It was also economical–much cheaper even than butcher block, and definitely way less expensive than quartz (which the rest or our kitchen counters are). 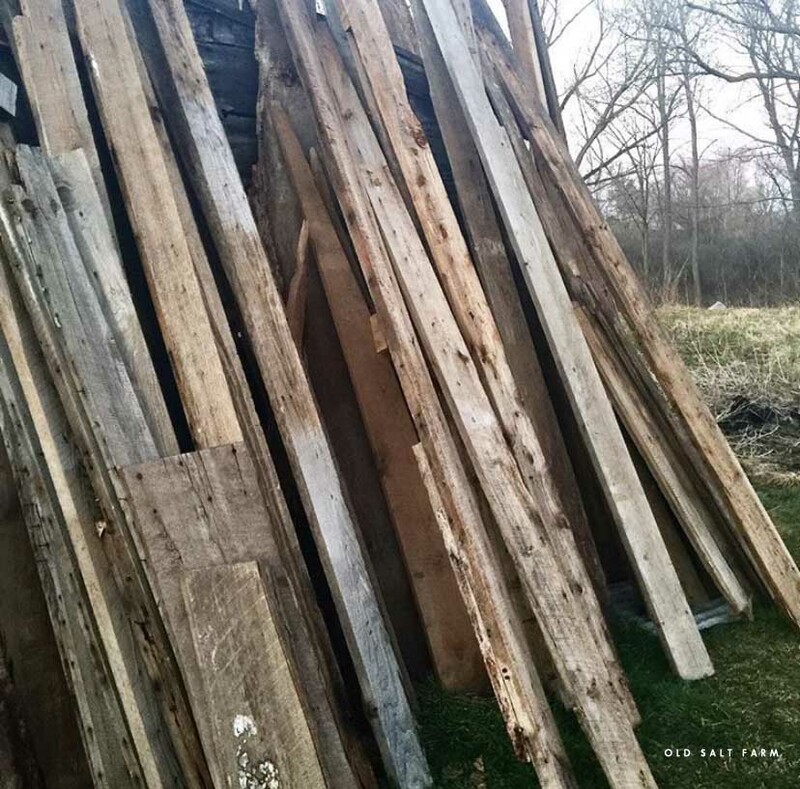 We found the barn wood on Craigslist, and it came from an old 1800’s barn that had just been torn down. We drove out there to check it out, and as soon as I saw it, I knew! The wood cost us about $200 to buy, then another $200 in supplies. So only $4oo for this gorgeous island (8 feet by 39 inches) …plus a lot of hard work. We were able to find a barn that was being torn down, so there was quite a bit to choose from. The trick was finding pieces that were the same thickness–or as close as possible. I looked for overall similarities, and pieces that didn’t have quite as many holes or nails. All of these things could be fixed, but take a lot more time. This post contains affiliate links of items we used for your convenience. If you click on a link and make a purchase, I receive a small commission at no extra cost to you. I used my Harbor freight bench top planer to reduce the thickness of the barn planks to 1 ¾ inch. Use glue liberally as you will want a good bond between the planks; I recommend using TiteBond wood glue, original formula. I prefer to wait until the excess glue to get “rubbery” and then scrap with a wide chisel. Basic wood filler; I like using this one, as it seems to accept stain well. As I used 100 year-old barn wood for my project I had numerous holes and other imperfections to deal with; to fill these areas I used this product tinted with a small amount of black acrylic craft paint. Use can use any color you like (Brown, Gray, Natural) it is based on preference and how much you want the holes and imperfections to show at the end. You will need to wait for a day or two for the epoxy to completely dry before sanding. For any holes that go through the entire project you will want to cover the backside with duct tape to act as a temporary backing then remove when dry. Reinforce Island – The standard overhang of an island countertop — on the side designed to sit at and tuck stools underneath — is 10 to 12 inches. 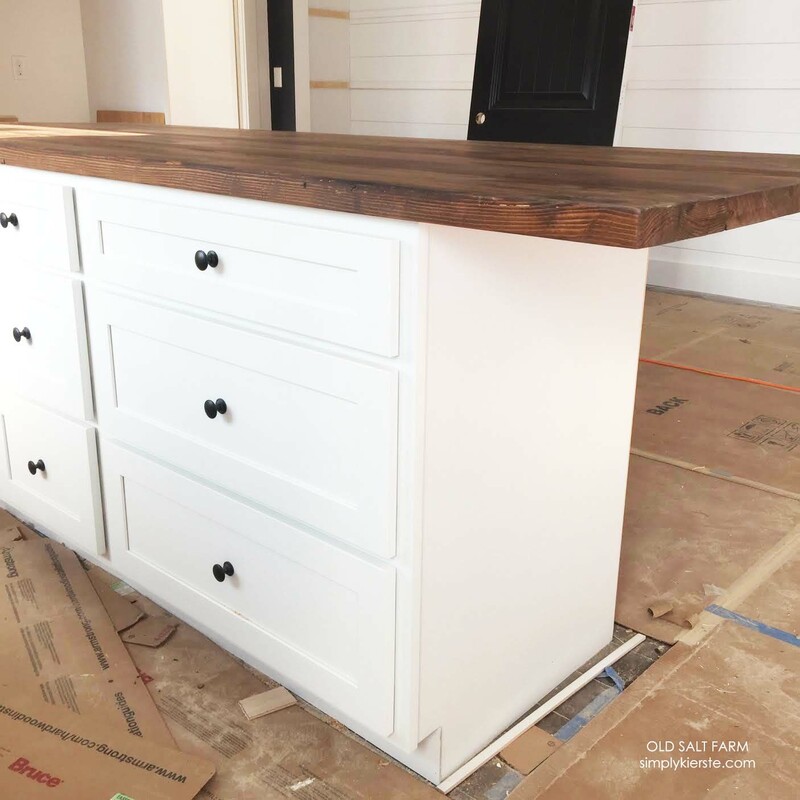 If your design is to extend the counter farther, you need to add supports such as legs, or wood corbels or metal L-brackets that extend half the overhang’s distance from the back of the cabinet island. I elected to re-inforce my island with 8 (1/2in x 4 ft #4 rebar) cut to 3ft sections to add structural integrity to the island. I routered 8 channels ¾ inch wide 3 ft long and inlayed the rebar into the channels. To permanently attach the rebar, I filled the channels with construction adhesive prior inlying the rebar. 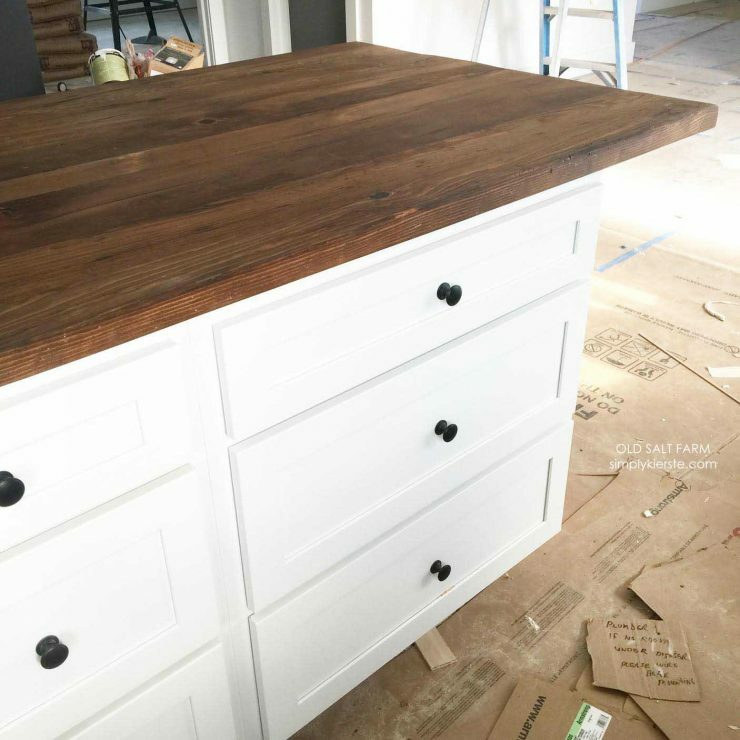 I have had really good luck using the Minwax products–I used Dark Walnut. Used General Finishes High Performance Top Coat in Flat, and it also comes in Satin, if you prefer that. Sanded between each coat; I use steel wool for the finish sanding steps, however you can use normal sand paper 320 or 400 grit. Note: The overall amount of time to complete depends greatly on the condition and size of wood being used. I started off with really rough 100 year-old barn wood with lots of nails and staples that had to be removed prior to planning. Overall, estimated my estimated time to complete was 50 hours. I would consider this an intermediate project. It’s been almost three years since we moved in, so I can speak a little more as to how it’s held up. We haven’t had to seal it again yet, but we plan to this summer. It’s a little more distressed and weathered from use, which is exactly how I like it. In fact, I love it even more! 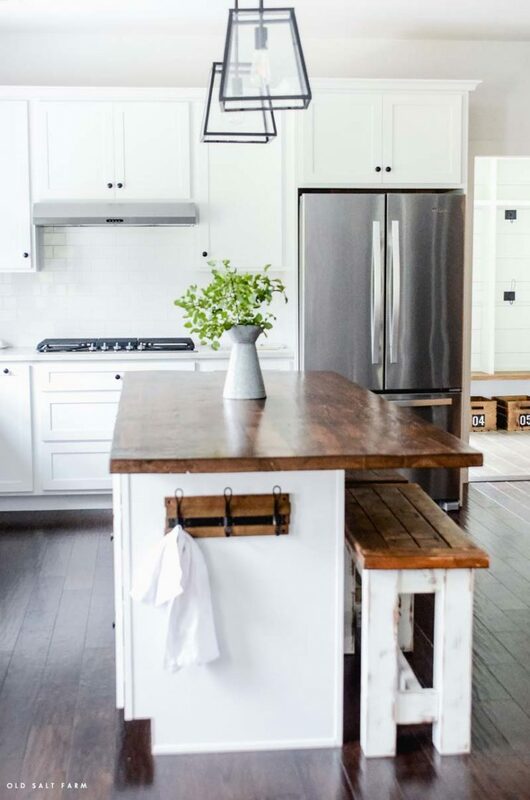 If you like the look of barn wood, then the distressing just makes it even better. It’s strong, durable, and has been exactly what I wanted. No problems at all! Click here to join my newsletter…don’t miss a thing! Get the latest farmhouse style, DIY, home decor, holiday ideas, and more!